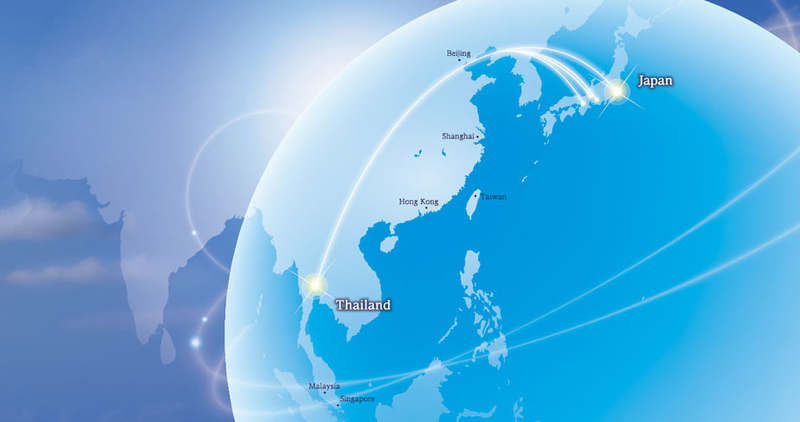 In order to accommodate developing global markets, and due to the necessity of responding to the demands of business clients that are expanding to Asian business centers, Sun Messe Co., Ltd. established Sun Messe Thailand, our first overseas business center, in the Thai capital of Bangkok on September 19, 2012. The basis of our business is Face to Face relationships. We want to be located near our customers where we can listen to their input, build new communities through the value we place on interpersonal relationships, and grow as a company that can contribute to the overseas operations of our customers. We ask for your further guidance and encouragement going forward. At Sun Messe Thailand, our core focus is packaging and sales promotion. We provide a complete range of products and services, from packaging planning and design to manufacturing in Thailand through our local printing company affiliates and delivery to other countries, with the intention of providing superior products to ASEAN countries. Sun Messe Co., Ltd., our beloved company, is based in the city of Ogaki, Gifu Prefecture, and is comprised of three manufacturing centers. Using Sun Messe's network, which includes 10 sales centers in Tokyo, Osaka, and other locations all across Japan, we can provide developmental support for customers in Japan and the rest of Asia and offer reliable, prompt services to meet a variety of needs. © 2017 Sun Messe Co., Ltd.